Implementation of fake "subsurface scattering" effect shaders to simulate skin transparency and improve visuals. Does not require ENB or SKSE64. Lightweight, no scripts (although the Modern Brawl Bug Fix is included). Modern Brawl Bug Fix Packaged with the mod, but I suggest you endorse the mod and run it alongside your load order just in case. Special Edition Particle Patch By mindflux. While the gradient I used is included in the mod, I recommend visiting the site and reading more about his work, as well as downloading the SPECIAL EDITION PATCH. Feel free to incorporate this tweak in whatever project you're working on, so long as it's appropriate. It would be very appreciated if you could recognize this mod and Cobb Rim Lighting. David J Cobb and his "Cobb Rim Lighting". 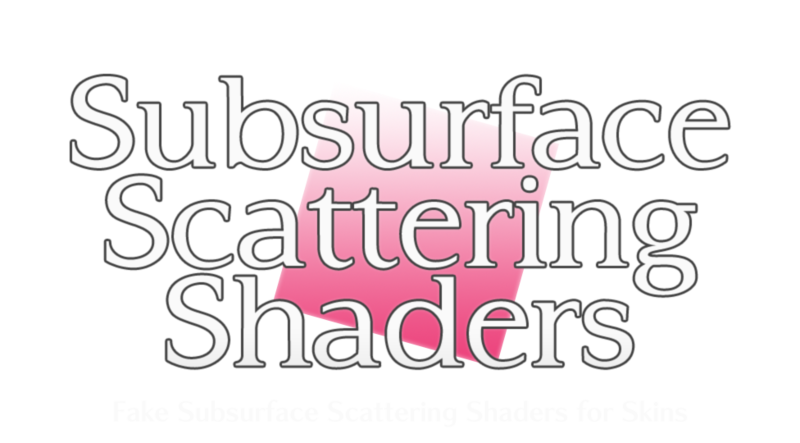 Subsurface Scattering is the effect of light coming in direct contact and interacting with a translucent material or surface and "scattering" at an end point. The result of this effect when light interacts with skin is, in most scenarios, a pink-ish translucent effect (hold your hand up to any light and you'll see). In Classic Skyrim, this effect had been produced through ENB. In Fallout 4, Bethesda introduced proper SSS controlled through material files. And unfortunately in Skyrim Special Edition, we are without this any form of skin SSS. Thankfully, with really cheap hacks and smart implementation, we can achieve a similar effect. We can even do something with the relatively "flat" or "dead" skin people often point out on characters in the Special Edition. The effect is very subtle, and the comparison GIFs don't do the effect much justice. For that reason, I strongly recommend you going in game and see the change yourself. To alternate between turning the shader on and off for a quick and easy comparison, you can just equip or unequip gear through the favorites menu. There are technically no "hard" requirements. No ENB is required (although recommended, as always) and you do not need SKSE64. Because NPC Actor detection is done through a cloaking effect, it is strongly recommended you download the Modern Brawl Bug Fix . ﻿For your convenience,the Modern Brawl Bug Fix has been packaged with this mod. 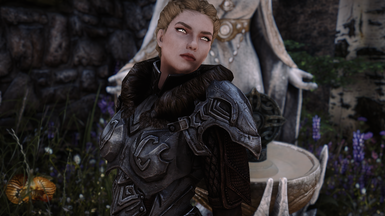 While the nature of The Letter S Six Times (Recommended Name) makes it, what I would consider, highly compatible with most mods, it is incompatible with any mods that rely on EffectShaders. Wet and Cold has a feature to let snow and ash build up on your character model; these effects are EffectShaders and will not be compatible with the shader. However, Wet and Cold's dripping water effect should be fully compatible. As of right now, NAT implements a form of "fake" subsurface scattering effects on the player character. Technically, you do not need to use this despite them being different. A patch might come at a later date! Supposedly you can turn this off in NAT's options. But because of this, I do not recommend using the two together (mostly due to the redunancy). 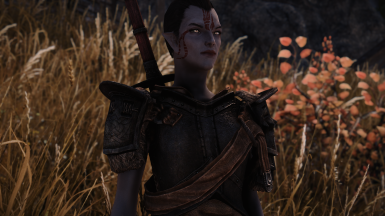 The mods I actually used to tune the shaders with were Obsidian Weathers and Enhanced Lights and FX. If you would like to debug the mod, use the console commands startquest ioriSSSQuest and stopquest ioriSSSQuest to toggle the shader. It may take several minutes for the effect to be removed from NPCs. This section will be updated with known incompatibilities. David J Cobb. This project was really made on the back of Cobb's work with Cobb Rim Lighting. I had remade this mod twice three times by the time I got around to looking at CRL's implementation and consulting with the author himself about how to go about implementing this shader similarly. I don't really release my mods, so things like documentation and building flexible systems is never really my immediate solution. Cobb is an excellent influence and one of the most talented and friendly developers we have in the community, so I strongly recommend you send kudos his way for his contributions to the community and this project. Happy to consider him a buddy of mine. Daymarr. Also instrumental in me getting this file out to the public, as their interest in the file is what got me to package everything together and release it to the public. Their characters are also very nice looking. Yeah. mindflux. 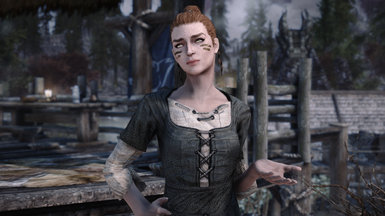 For the reuse of their gradient in their particle patch, as well as for the Skyrim Particle Patch for ENB. EnaiSiaion. For actually fixing the brawl bug after all of these years. I've included the fix in this mod, so go endorse his file and download it for safe measures. l00ping. For Natural and Atmospheric Tamriel and serving as inspiration for this mod. I believe they were the first to introduce SSS on skin through a shader. NAT is a very ambitious, with a lot of neat ideas. I implore you to check it out. VaultBoyAM. For improving upon the incredible acronym. Suggested I use the word "Pseudo" instead of "Fake".